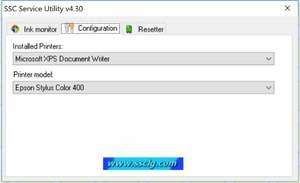 SSC Service Utility will allow many people with high printing demands to save some money (program works with both black and color cartridges). Up to day, SSC Service Utility works with both the LPT and USB printers. You can lost Epson lifetime guarantee on print head by refilling ink cartridges. For security reasons, you should also check out the SSC Service Utility download at LO4D.com which includes virus and malware tests. Additional screenshots of this application download may be available, too. 4.5 out of 5 based on 21 ratings. SSC Service Utility download been highly rated by our users.